The sun is shining and the daffodils are out - spring is finally here! 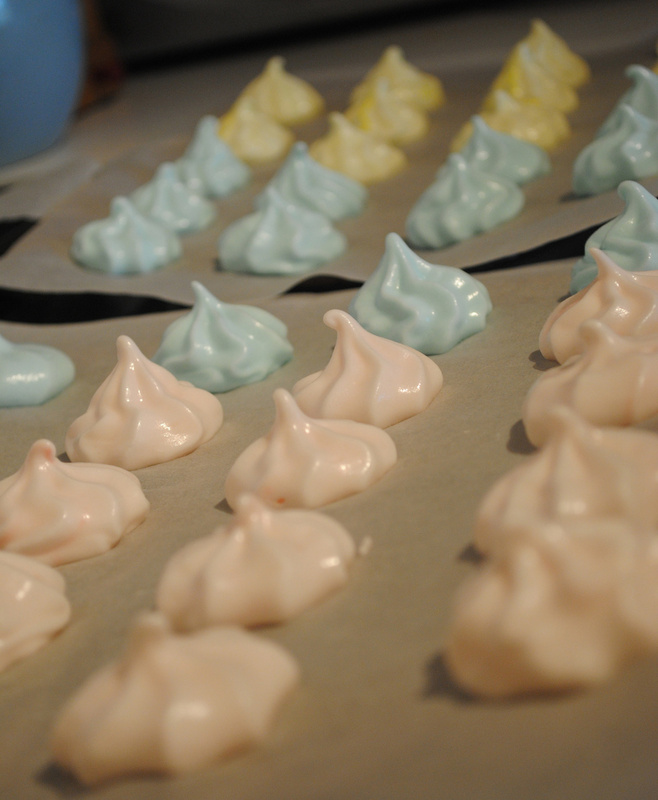 And to celebrate I decided to make some bright meringue kisses. I started by making the BBC Good Food ultimate meringue recipe, which whisks 4 large egg whites with 115g caster sugar and 115g icing sugar. 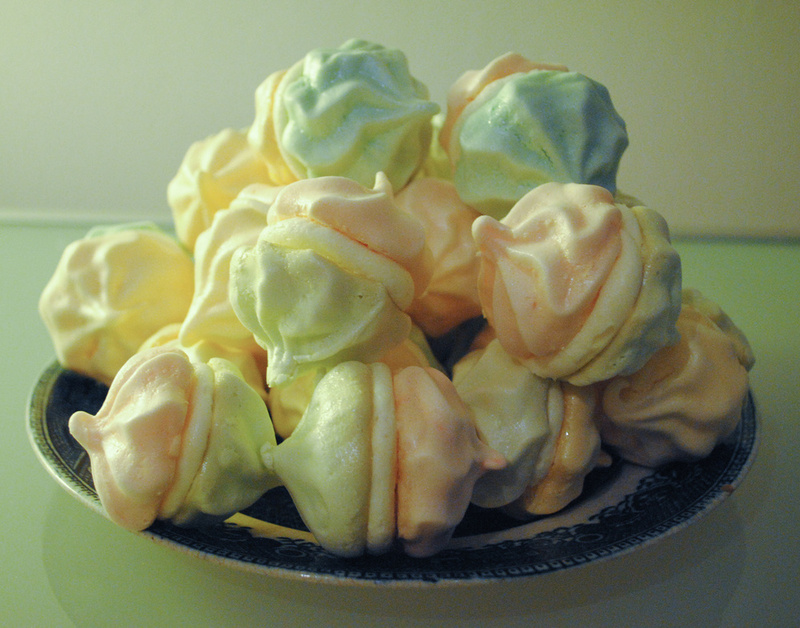 Once thick and glossy, I separated the mix into four bowls and carefully folded in different food colourings to make lovely springtime pastel colours. I piped the mix onto baking paper before baking at 100 degrees for an hour and a half, so they'd still be a little chewy once cooled. Then, whilst the meringues were cooling, I made the Hummingbird Bakery's lemon buttercream by beating 250g icing sugar, 80g softened butter, 25ml milk and some lemon zest. I used this to sandwich together the meringues for the final result. 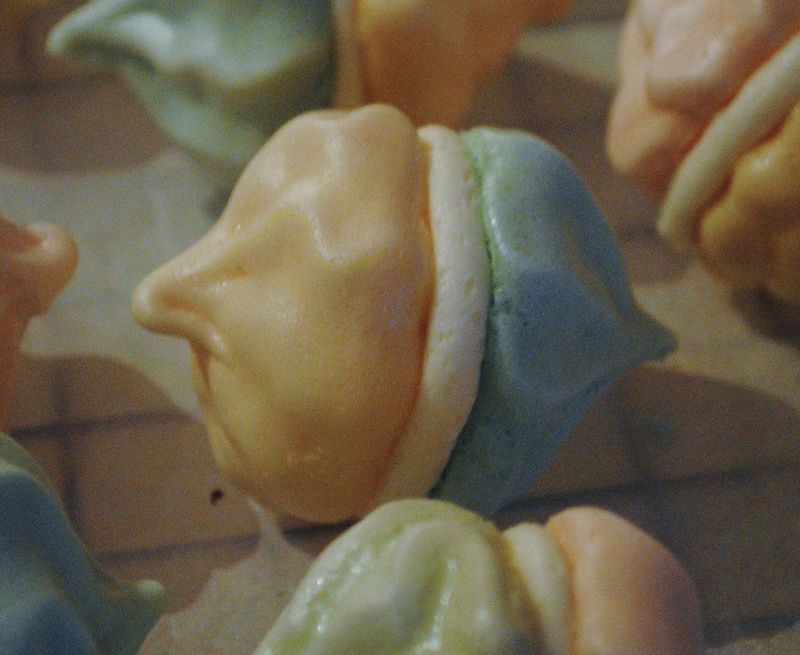 Forget meringue kiss - I may just label these little double bubbles as meringue snogs!